Add a little flair to any bathing area. 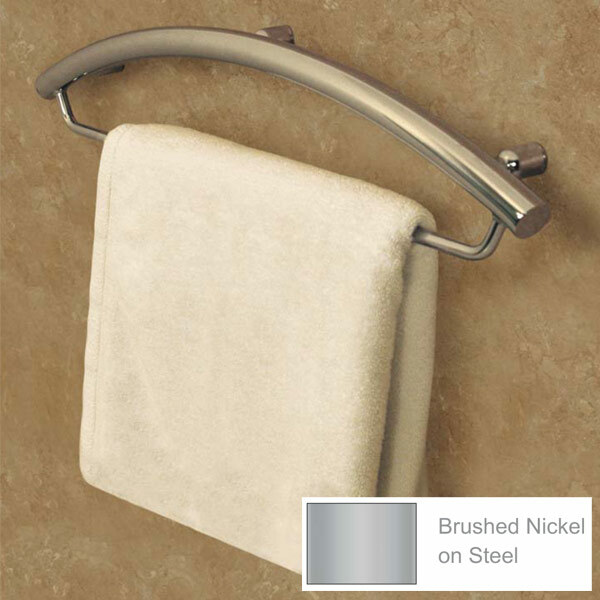 The 24" Towel Bar with Integrated Support Rail provides ample space to display any towel set while the graceful arc of the integrated support rail creates a functional design element. - Discreet wall stems with concealed screws. Meticulously designed wall interface stems render mounting areas virtually invisible. and shower seats, fasteners and mounting devices.